There are over 16 preschool math concepts (also referred to as science process skills or science learning objectives) is part of teaching preschool math. Let's talk about each of those skills now! Children use math all day long! During every activity from counting the steps they climb, to sorting blocks and stating “there are more red ones”, to separating the carnivores from the herbivores (for the dinosaurs’ own safety of course! ), children are using math. Knowing the math skills your preschoolers are developing and should be developing will help you plan math across your curriculum and throughout your classroom. Preschool math concepts overlap and are interrelated with preschool science concepts. In the field of Mathematics, the skills of classifying, comparing and measuring are referred to as Math Concepts. In the field of science, these skills are referred to as Process Skills. 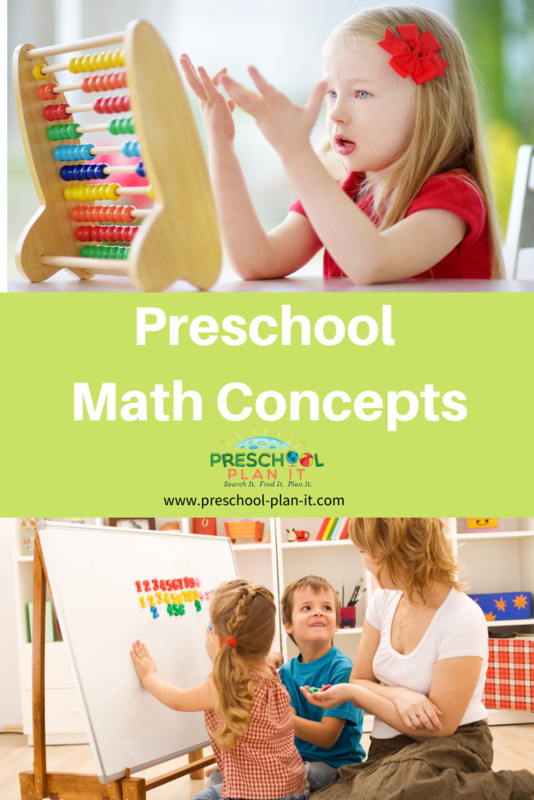 Let’s look more closely at the 16 preschool math concepts your preschoolers learn throughout their preschool years. Note how each skill prepares the way for the next. Observing is the first step in gathering and organizing information. Children use their senses to observe. When given a collection of items (for example apples) children use their senses to observe attributes such as color, size, sweet/sour, texture, and soft/crunchy. Convergent problem solving is the ability to gather individual pieces of information together in one’s mind and come to a single solution to a problem. Divergent problem solving is the ability to gather many pieces of information and consider a variety of possible solutions to a problem. Other examples of math language we use in preschool are heavy, light, tall, short, round, rectangular, add to, take away, etc. This the understanding that one group of items has the same number of items as another. It is any activity where the children match one thing to another thing. For example: 1 button for each bear (see picture below) or 1 paper cup for 1 child, each hand has a mitten. Number Sense is the concept of understanding number. It helps children to understand the connections between quantities, counting, more, less, etc. Shapes are also known as early geometry! That’s right…what is geometry but the study of shapes? At this age, children will not work with formulas for diameters and circumferences, but rather with identifying basic shape names and comparing, sorting, classifying and drawing them. Spatial sense is the ability to place items in the correct spaces or places using a logical design or a pattern. As an example, we see this when children are working on puzzles. Creating sets is the ability to make groups of items in a logical way. It requires the skill of classifying. Classifying is a higher level skill than comparing. After observing and comparing, the children can take the information learned and begin sorting, classifying and grouping in logical ways. They begin to separate items based on observations. They may separate apples by those with and without stems, by size, by color, etc. Order Seriation is another higher level skill than comparing. When ordering or seriating items, the child compares more than two items or groups and places the items in a logical sequence. They may place items in order based on size or shape (such as placing fruit in order from smallest to largest). Or they may place items in order based on first to last (such as placing pictures on a flannel board in order of when they happened in a story). Comparing is the ability to identify similarities in items or groups. Once children have had time to explore items, they begin to compare. They begin to notice similarities as well as differences such as same and different colors, weights and sizes of apples. There are 2 types of counting. Rote Counting- reciting numbers in order from memory. Rational Counting- is counting items in a group and then understanding that the last number stated IS the amount for the set. Measuring includes many areas such as volume, weight, length, height, temperature and time. Parts & Wholes is an early fraction skill! Fractions! In Preschool? You bet! If we break a Graham Cracker (a whole) in half we have 2 pieces and each of those pieces (the parts) are rectangles! We can rip or cut a piece of paper (a whole) in little pieces (parts). When referring to Numbers and Symbols, we are referring to the understanding that a specific number is a symbol and that symbol stands for a set of specific items. 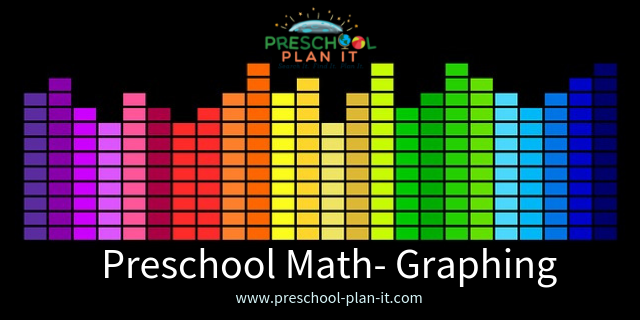 Graphing is a way of recording or communicating observations and data that the children have learned. I create daily preschool math activities for Members of my Preschool Cubby membership program (you can learn more about that here). There are so many games and materials you can use for math activities in your classroom. 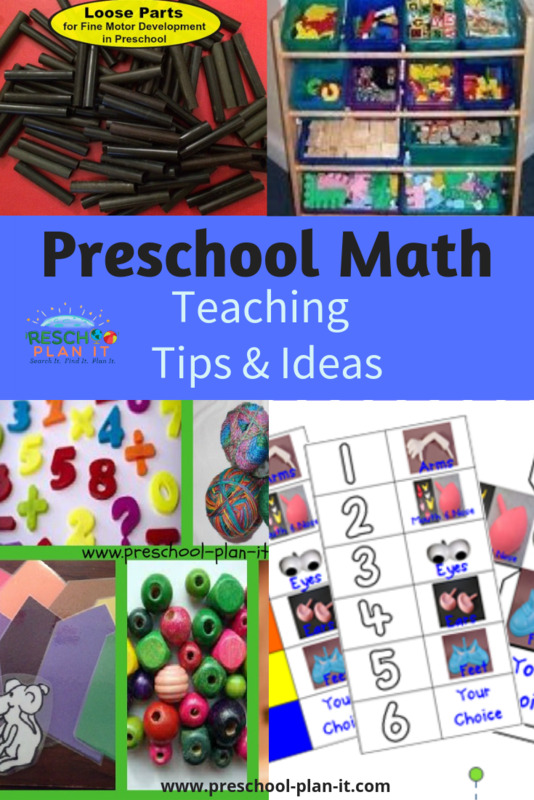 Click here to learn how to best set up a preschool math interest center in your classroom and find what types of materials to have on hand! You might also be interested in some awesome fine motor/loose part ideas that go well in a math center as well! If you are limited in space in your classroom, here's an article to help you provide math activities to your preschoolers each day in spite of a small classroom! It was originally written as a way to provide science in a small space but works well for math, too! More Math Articles and Learning Ideas! 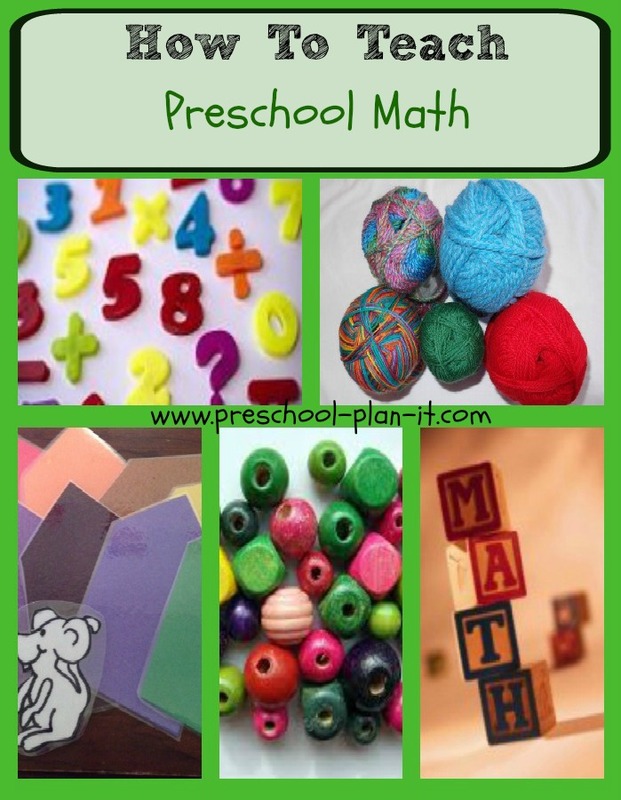 How to teach preschool math in your classroom! Take my self-study Preschool Math workshop! Learn more here!